Reduced carbon dioxide (CO2) emissions in the transport sector is vital to reach national climate targets and to develop green competitiveness. Internationally, the European Union has targets of reducing greenhouse gas emissions from the European transport sector to 60 % below the 1990 level within 2050. Electrification of transport will be important for reaching these targets. Therefore, the development of hybrid and electric vessel technology and the corresponding infrastructure for electric power delivery from shore and for battery charging is promoted both in Norway and on the European level. One of the recently established forums that focuses on this challenge is Maritime Battery Forum. Their vision is to make the Norwegian maritime cluster world leading within battery based value creation. Watts Up is their yearly conference and was held for the fourth time on March 7th-8th in Ulsteinvik. The 2018 conference theme was the user experience: from concept to real life experience. 123 participants from 12 different nations attended the two-day conference, and 19 interesting presentations were given by authorities, ship-owners, designers, battery providers, shipyards and class societies. Olve Mo and Eirill Bachmann Mehammer from SINTEF Energy Research attended the conference, and Eirill presented her work from the project Zero-Emission Mobility Accelerator (ZEMA). ZEMA is a SINTEF-wide strategic initiative with the aim to create solutions to reduce climate change by establishing sustainable mobility in world class multidisciplinary partnerships. A wide range of initiatives have been established, focusing on both onshore and maritime transport. The initiative from the Electric power technology department at SINTEF Energy Research, in partnership with SINTEF Ocean and SINTEF Industry, is focusing on corrosion on vessels during electric power delivery from shore and battery charging. Harbours are often located close to residential areas; hence the air and noise pollution should be minimised. When vessels are docked, there is still an energy demand for various purposes on board, including power for lighting, heating, cooling and loading/unloading operations. This energy demand is currently largely covered by diesel generators on board, with low energy efficiency at low load as well as high emissions of CO2, nitrogen oxide, sulphur oxide and particulate matter. 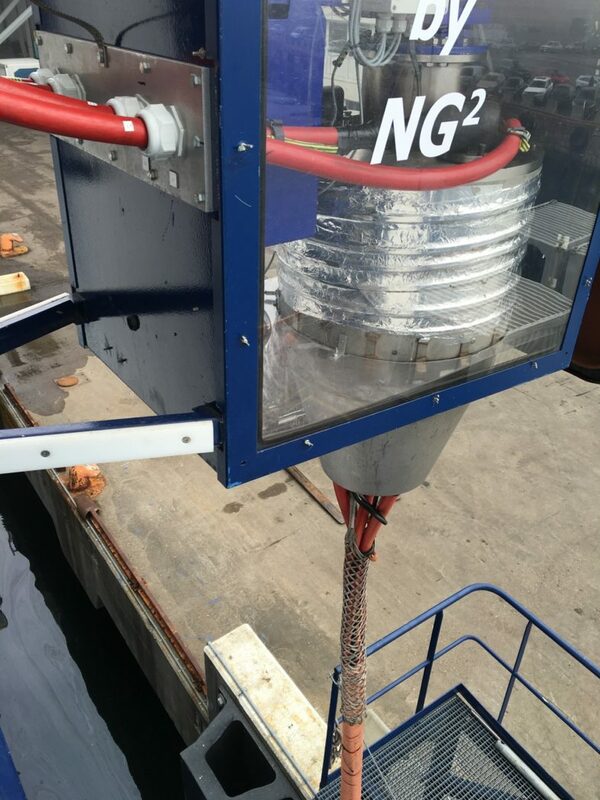 A way to improve air quality and reduce noise is to shut down the vessel generators and connect to the shore power supply for as long as possible while in port. Supplying the vessels by the shore electrical systems is referred to as shore connection, cold ironing, shore-to-ship power, alternative maritime power or onshore power supply. There is increasing interest for such solutions for various types of vessels, such as Ro-Pax vessels and offshore vessels. The largest vessels need high voltage shore connection (HVSC) due to their high power requirements. Hence, several ports in Norway are being equipped with HVSC. The same technology can also be used for battery charging of hybrid and electric vessels. Even though HVSC is a relatively well-developed technology, it has some inherent challenges. There have been examples of vessels suffering from severe corrosion while being electrically connected to shore, even if existing standards and regulations have been followed. The corrosion problems arise because the vessel’s hull represents a marine electrode that is connected to the ground electrode via the protective earth (PE) conductor, while being immersed in an electrolyte solution; the seawater (see figure). The hull and the ground electrode thus form a steel-copper galvanic cell, and the current flow between these two electrodes favours the corrosion of the anode (the hull of the vessel), since steel is the less noble metal according to the galvanic series. The low resistance conductor between the vessel’s hull and the ground network can also introduce transferred touch voltages. Ground fault interferences are originated by the grounding system common to the primary and the secondary side of the onshore transformer substation. When a ground fault happens on the primary side of the transformer substation, the double grounding connection of the PE causes a touch voltage transfer to the ship-side system with a value related to the tripping settings of the protective device on the primary side. The voltages admitted might therefore be higher than the 30 V prospective touch voltage limit prescribed by the international standards for the interface area between the shore and the ship. To minimise the corrosion problem, active or passive cathodic protection may be implemented. Passive cathodic protection in the form of sacrificial anodes should be installed at all quays, as well as on the vessels’ hulls. The sacrificial anodes should be made of a metal less noble than the metal of the ship’s hull, such as zink, and they should be in contact with the sea water. In addition, all vessels should be painted and have active cathodic protection in the form of internal impressed current cathodic protection (ICCP) systems. The ICCP set point should be lowered to -900 mVAg/AgCl, in consultation with the paint suppliers. This is to ensure that the whole hull will have a potential lower than -800 mVAg/AgCl, the limit for sufficient cathodic protection, at all times. To avoid any transferred touch voltages, a different grounding strategy for the shore connection equipment may be adopted, in which the low resistance conductor between the protective earth onshore and the ship’s hull is broken. A solution which is compliant with the standards is the TN-island grounding system, where a neutral conductor is used instead of the PE conductor. This will also contribute to miniming the corrosion problems. Zero-emission mobility is one of SINTEF’s new strategic focus areas, and there is increasing project activity towards both onshore and maritime transport. SINTEF covers the range from system optimization down to materials and component design. There are ongoing activities in areas such as battery technology, optimized design and control of hybrid vessels and zero emission transportation systems. 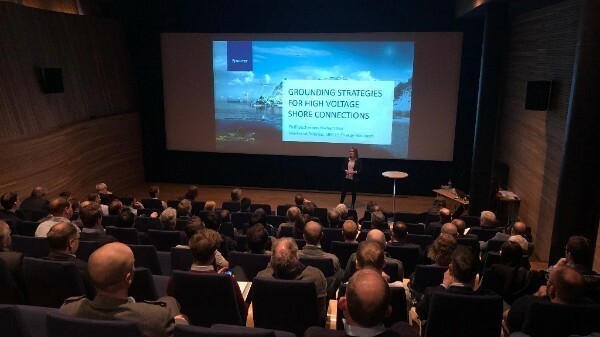 SINTEF’s strong multidisciplinary expertise within marine technology, corrosion and high voltage technology will prove valuable in the development of high voltage shore connections in Norwegian harbours.